Osborne Wood Products recognized the need for change, and wasn't afraid to reinvent itself. Leon Osborne, president of the Toccoa, Ga., company, asked for help from Frank Mewborn of the Georgia Tech Economic Development Institute. 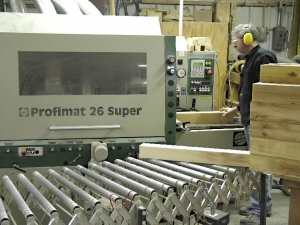 The goal was to change from a commodity wood parts manufacturer to a specialist in small runs and short lead times, using lean manufacturing techniques. "Our objective is to teach companies the principals of lean manufacturing so they have the information they need to fix the problems," Mewborn says. First, Mewborn visited the Osborne plant. Employees were given training in lean manufacturing and specific tools such as Kanban and continuous flow. Mewborn did value stream mapping, looking at the flow of products through the whole plant. Employees were asked to identify problems, along with ideas they had to improve efficiency. Plenty of ideas were offered. They were ranked, and the best in terms of impact, cost and ease of implementation were chosen. "I wouldn't categorize the furniture and woodworking industry as early adopters," he says, and notes that some had to be dragged into lean techniques. "Furniture manufacturers think operating in a state of chaos is normal. Everything flows through in batches and there are a couple of shows a year where everything is sold. But I don't know of another industry where lean techniques apply any better." Mewborn said the layout had grown haphazardly so the flow of the product was also haphazard. The company was manufacturing products based on forecasts rather than orders. Batches of products were too large, the warehouse was disorganized and employees didn't know where things were. 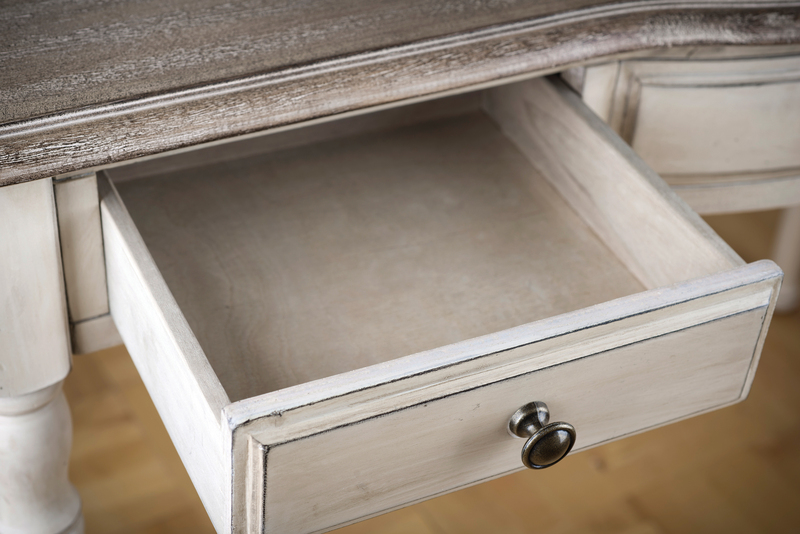 "Every furniture company I've been in always has tons of obsolete inventory," Mewborn says. "Companies can't bring themselves to say they're never going to sell it." Now, seconds and bad material are put in yellow bins that are taken away. Osborne makes custom turnings and components. Previously, an order for custom table legs typically required five weeks, in part because the inventory was inefficient. "We used to have a million-dollar inventory in 10 or 15 parts," Osborne says. "Now we have a million-dollar inventory in 100 parts." Osborne carries 10 wood species, including soft maple, cherry and alder. Osborne is looking at reducing inventory further, perhaps by 30 percent, by bringing in CNC lathes that can make more items on an "as needed" basis. "Any order can be shipped in three days, from inventory or manufacturing. We can respond that quickly." When an inventoried item goes below a certain level, a card with reorder quantity is pulled from the inventory shelf and put on what is called a yellow board. If the item is out of stock, the card is put on the red board. Items on the red board are manufactured in two days and shipped in three. Each of Osborne's 10 wood species has a different colored card. "That's a simple process that lean manufacturing has brought into the business," Osborne says. "When we're running short of inventory, no one has to enter something in the computer. They take the card from the shelf and put it on the red or yellow board. It's visible to everyone." Osborne says that the company used to plan long runs because of the long time required for setups. "Setup time was critical," Osborne says. "We focused on reducing setup time on the lathe. Employees made suggestions such as standardizing patterns and using CNC equipment to make patterns. We reduced setup time from 25 minutes to 8 minutes." "If you reduce the setup time, it doesn't matter so much if you set up the lathe for 500 pieces or five pieces." The first step in making turnings is one of two Omga cutoff saws, followed by a Northfield jointer, table saw and a J.L. Taylor clamp carrier. A Weinig Profimat 26 moulder, Cemco widebelt sander and a Hoffman dovetail machine are also used here. A custom area in the shop handles special items such as table skirts and large, hollow pedestals. At the heart of Osborne's operation are five Centauro lathes, two T7E and three TAF class. The company buys new lathes often. Skilled operators can do setups quickly and change patterns. "An experienced lathe operator can take a good pattern and produce a good turning so it has crisp lines, sharp edges and truly flat flats, Osborne says. "With lean techniques, the operators can better handle a 20-piece run rather than a 200-piece run. "Our equipment is geared toward the short, custom run," Osborne says. "When we need 1,000 of something, we're handicapped. So we outsource from a company with high production machines that can run thousands efficiently. "The most efficient and effective product we have is the ability to produce short runs effectively." Mewborn also spent a lot of time in Osborne's shipping department, which operated like manufacturing. "The shipping department can be the source of a lot of customer frustration," Osborne says. Osborne also does light sanding in shipping, even of items taken from inventory, as a final check right before the product ships. "Sometimes things change in inventory, sometimes the glue joint will delaminate. I want them to look at that product right before it ships." Now, shipping handles smaller batches, sanding and packaging more frequently. The layout was reorganized so employees don't have to move back and forth continuously to perform tasks. "I think lean principles apply to almost any kind of business," Mewborn says. 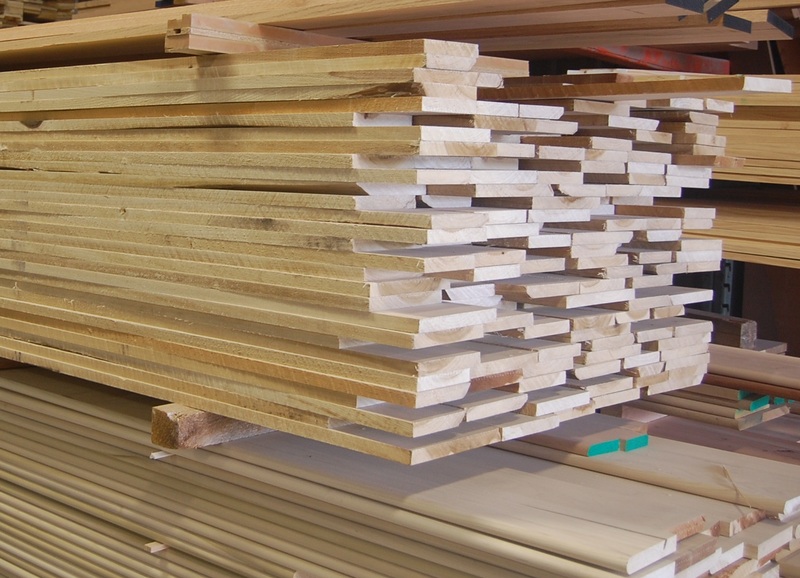 "Woodworking is almost ideal for these principals."